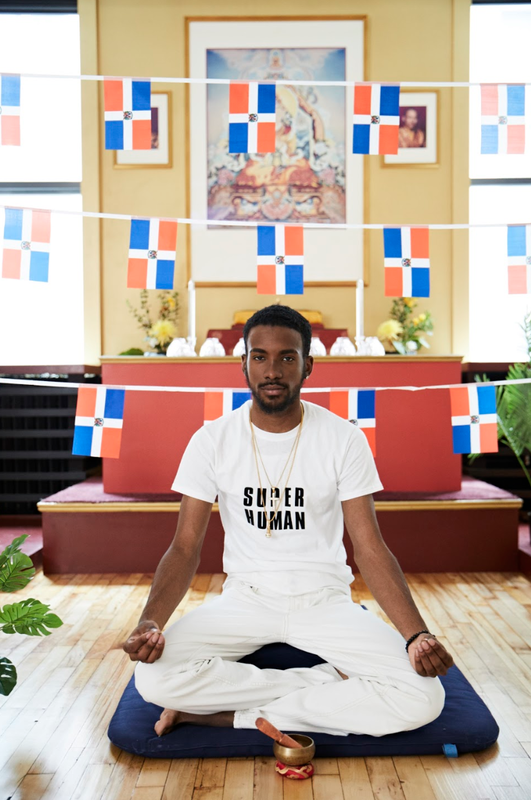 The 2018 Art Start Portrait Project offers Black and Brown young men the opportunity to portray the complex narratives about their identities, asking the world to see them for how they choose to be seen. Art Start has collaborated with 18 youth from across New York City and Milwaukee to interpret and re-imagine visions of themselves. Through Art Start workshops, in-depth dialogue, interviews and photoshoots, participants explore personal identity and envision their lives beyond circumstance and stereotype. With support from world-class photographers, retouchers, stylists, and oral historians, those visions will come to life through a multimedia gallery exhibition and public campaign, #SeeMeBecause, this fall throughout New York City and Milwaukee, offering a platform for self-determination, representation, and freedom. The Art Start Portrait Project challenges the belief that the future will simply be a continuation of the past, or that stereotypes, statistics, and circumstance determine our youths' existence. We believe that each individual has an autonomous and creative spirit which is inherently healing and liberating. With the freedom to design and re-imagine oneself, the courage to believe, and access to the resources to create, we can profoundly transform how we identify and how we interact with our lives, futures, and each other. –Prince Akeem, photographed by Adrien Broom. The Art Start Portrait Project is presented and supported by numerous visionary partners. The New York project is presented by Smashbox Studios, with the support of Film Society of Lincoln Center, DCOY Studios, public funds from the New York City Department of Cultural Affairs in partnership with the City Council, and Humanities New York with the support of the National Endowment for the Humanities. The Milwaukee project is presented by Turnaround Arts, with the support of the Black and Latino Male Achievement Department of Milwaukee Public Schools, Studio C, and Kenilworth Gallery East with the support of the Brico Fund, and NYC-based DCOY Studios. Participating artists on this year's project include Natalie Brasington and David Johnson, as well as Mary Ellen Matthews (Saturday Night Live), Nick Collura, Zachary Maxwell Stertz, Paul Gilmore, Ken Pao, Heidi Gutman, Sara Stathas, Justice de los Santos, and Art Start alumni, Kissenia Chara-Williams. Media support by Rubin Whitmore, With & About Projects. Makeup artists included Maegan Rebecca, Kim Goodwin, Andrea Andaluz, and Emma Strachman. Wardrobe and prop stylists, Katherine Hammond, Grace Celi, William Costello and Kardia Yazmyne Williams. Additional Location Support was provided by Shambala Meditation Center of New York. Watch the 2017 Portrait Project video here. Watch the 2014 Portrait Project video here. The Portrait Project gallery exhibition is available for rent or purchase by Art Start approved gallery spaces, organizations and schools, nationwide. All fees are tax-deductible and will benefit Art Start’s Homeless Youth Outreach, a program that offers creative arts workshops up to 5-nights per week at NYC homeless shelters to youth 5 to 21-years-old. Read about The Art Start Family Portrait Project, which has empowered over 70 homeless families through family portraiture, photographed by: Martin Schoeller, Andrew Eccles, Jim Wright, Peter Yang, Eric Ogden, David Johnson and Natalie Brasington, among many others.